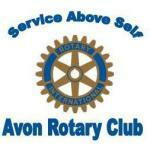 Aaron and Justin are trustworthy professionals that are easy to work with and they do very nice detailed work. You can be assured they are going to be reliable, reasonable, and results oriented. I will use them again and happy to recommend them. Very satisfied! Job was finished in 2 days. Very nice guys. Loved how it turned out! My house looks new and amazing! Aaron and Justin provided excellent service during the painting job they completed for me. Quality work, on time completion and trustworthy are the attributes I would call out on the services provided. Aaron and Justin are two young professional painters. They both have tremendous personalities and did a great job painting our home. I highly recommend them and will hire them again. You can’t miss with these guys. 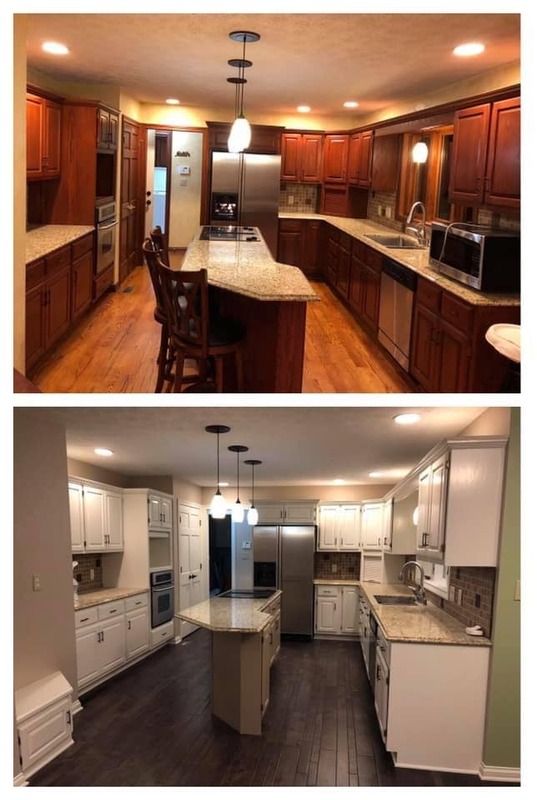 Cabinet Painters in Indianapolis that You Can Trust! At Flora Brothers Painting, we can help revamp your kitchen. We make the process simple, so you can spend less time worrying about the outcome and more time choosing the right look for your kitchen. Cabinet painting offers the most efficient and cost-effective solution for transforming your kitchen. You can completely change the appearance and make your kitchen a place where you want to spend more time. Depending on how long you have lived in your current home, your kitchen may still have the same look as it did when you bought it. You should have a kitchen that reflects your tastes, instead of the previous owner’s. Outdated kitchens may look like they are from a different era. The color combinations that were popular several decades ago no longer have the same appeal. With the right selection of colors and finishes, you can create a kitchen that is more inviting, warmer, or brighter. 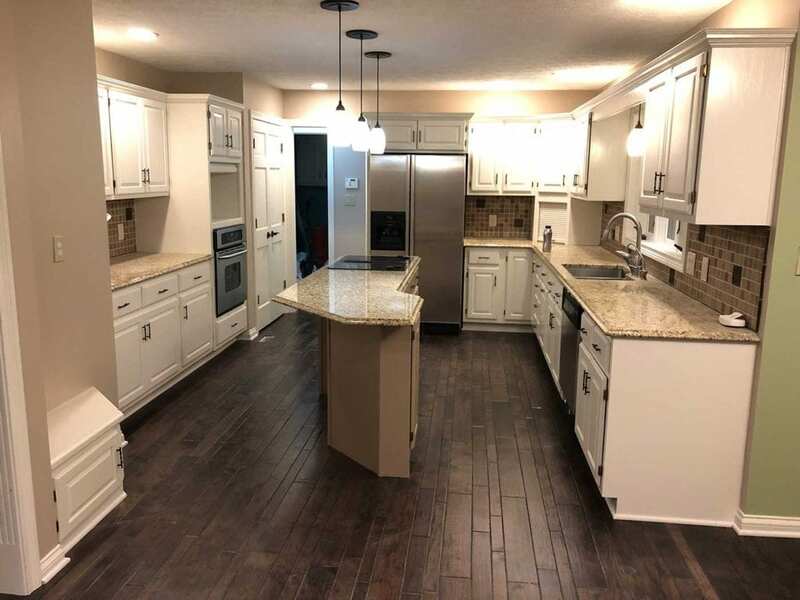 You finally get to give your kitchen the update that you have wanted without spending a fortune on a kitchen remodeling project. You can rely on us to help make your kitchen the most welcoming room in your house. 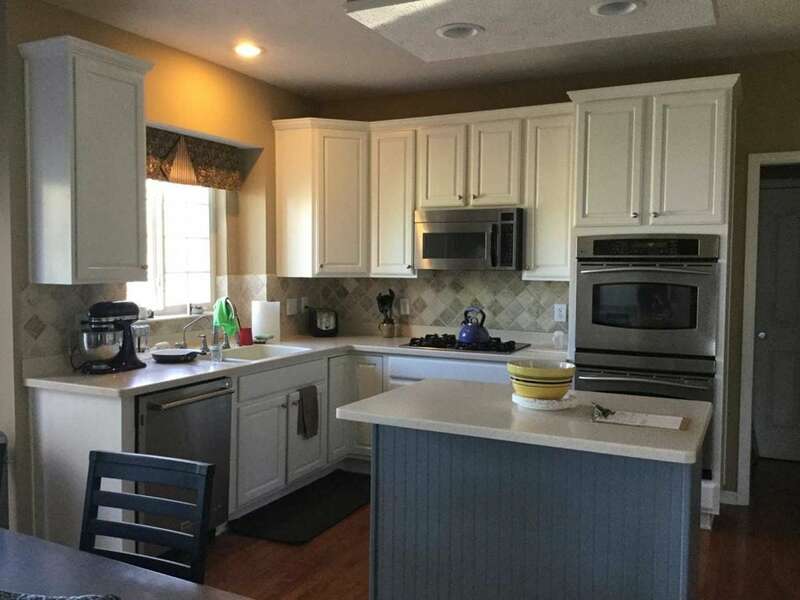 At Flora Brothers Painting, we have helped hundreds of homeowners in the Indianapolis area update their kitchens. During the consultation, we can discuss your specific requirements. You may already have ideas for the color palette and finishes. We can help you select the best options to suit your kitchen. Based on your needs, the paint selection, and the amount of work, we can provide an accurate price quote for your painting project. You can count on us to offer competitive rates for all services, with no hidden fees or unexpected costs. We also select a time that works best for your schedule. We ensure that your cabinet painting project causes as little disruption to your daily routine as possible. 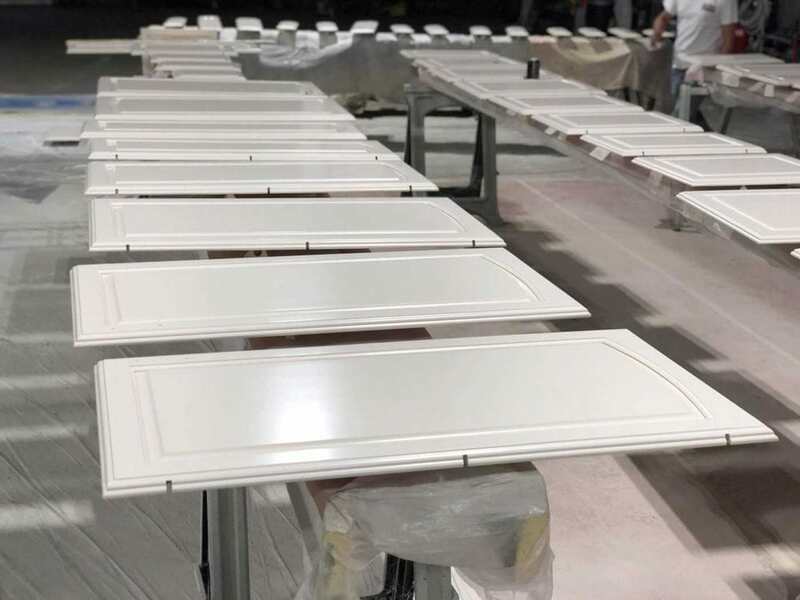 After scheduling your cabinet painting, you can relax and wait for us to finish the job. We treat your home like it is our own. We always protect your appliances, clean up after ourselves, and complete projects on time. We work quickly and efficiently without skipping any details or cutting corners. You always get the best service available, with projects completed to your satisfaction. Every home renovation project requires careful consideration. You need to think about the look that you want for your home. You also need to find the right people for the job. At Flora Brothers Painting, we have served the Indianapolis area since 2011. The kitchen cabinets are an essential feature of any kitchen. 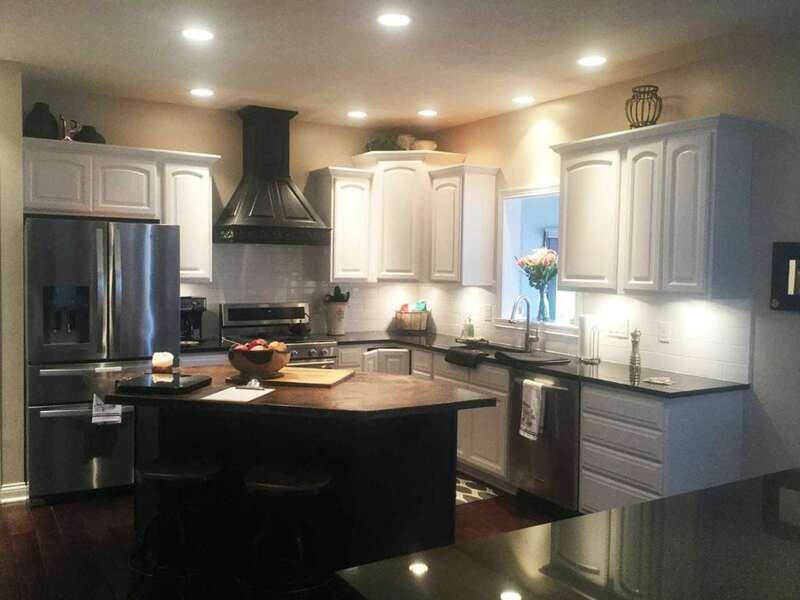 Other than the counters and the appliances, the cabinets set the kitchen apart from the rest of the home. They also provide the easiest way to give your kitchen a new look. With any home remodeling project, painting the room is typically the less expensive option. By choosing to update your cabinets, you get to change the way that your kitchen looks without draining your savings account. The next step is to contact us to book your free consultation. Choose a time that works for you. We can assess the project, discuss color options, and start preparing for your kitchen transformation. Contact us today for more details to book your free consultation and price quote!